The White House yesterday, with little fanfare, issued its annual (and long overdue) 2011 National Drug Control Strategy report. As usual, the White House’s official justification for the ongoing multigenerational drug war was light on facts and heavy on rhetoric, particularly as it pertained to the federal government’s fixation with criminalizing cannabis. Here are just a few examples (all of which are excerpted from a section of the report, entitled ironically enough, ‘The Facts About Marijuana‘) of your government on pot. Only in an environment of absolute criminal prohibition can the administration imply, with a straight face, that allowing a grand total of 14 legally permitted scientists to study a substance consumed by tens of millions of Americans for therapeutic and/or recreational purposes is somehow to be construed as ‘progress.’ That total doesn’t even legally allow for one scientist per medical marijuana state to actively assess how cannabis is impacting that state’s patient population. Moreover, this acknowledgment comes from the very same administration that on Friday flat out rejected the notion of even allowing hearings on the question of marijuana’s schedule I classification because, in their opinion, “there are no adequate and well-controlled studies proving efficacy.” Of course, with only a dozen or so scientists in the whole county even permitted to interact with pot and humans can there be any wonder why such studies aren’t more prevalent? Interestingly, according to the DEA’s 2010 white paper on cannabis (no longer online), last year there were a total of 18 scientists licensed by the government to work with marijuana in a clinical setting. Perhaps next year there will only be ten. If the DEA and NIDA have there way perhaps by 2013 there will be zero. As for the other 95 US scientists legally authorized by the federal government to assess the efficacy of ‘marijuana extracts and marijuana derivatives’ in animals, most of them were here last week — at the annual meeting of the International Cannabinoid Research Society. But even these ‘chosen few’ acknowledge that their work has next to no influence on the very administration that authorizes it. About 250 scientists from around the world have gathered this weekend at Pheasant Run Resort sitting through seminars titled “Endocannabinoid Signaling in Periimplantation Biology,” and “Cannabinoids and HIV Pathogenicity,” to name a few, for the 21st Annual Symposium of the International Cannabinoid Research Society. ICRS members meet once a year to compare notes on research studying how cannabinoids, compounds from the cannabis plant (more commonly known as marijuana) or from the brain called endocannabinoids, affect the body and how it functions. While most attendees are scientists, many are graduate students or training scientists as well as physicians interested in learning how these chemicals might be useful in treating human disease. “We are all around the world working on our own projects,” said Cecilia Hillard, ICRS executive director, professor of pharmacology and director of the Neuroscience Research Center at the Medical College of Wisconsin. “That’s why it’s so wonderful for us to get together once a year so we can really share things that we learn,” she said. For example, she said someone may be studying how bone is formed, and she is studying how the brain works. While the society is not political, Hillard says the type of research that is done on the controversial topic of medical and personal use of marijuana is nonetheless important. She said scientific investigation is done in a very neutral way, trying to understand what these molecules do. The findings of this research are published in scientific journals so that the information is available to anyone. She said sometimes “you have no idea the impact your work is having.” Hillard said part of the mission of the ICRS is to educate the public. “I wish the politicians would (look at the data) but I don’t think they do,” she said. The little red police cars show you the zero-tolerance states. If there is a time next to it, like 24h, that's the mandatory jail time you serve immediately. Today the National Highway Traffic Safety Administration posted a press release entitled “Drug Use Among Fatally Injured Drivers Increased Over the Last Five Years“. The release summarizes the full report that examines the the drug test results of drivers who had been killed in automobile crashes. While the report itself is objective and offers many caveats about reading it as an indictment of drug-using drivers as serious safety risk, the mainstream media hasn’t been as “fair and balanced” and the Drug Czar has jumped on the release to forward his agenda. About 1 in 5 drivers who were killed last year in car crashes tested positive for drugs, raising concerns about the impact of drugs on auto safety, the government reported Tuesday. Other outlets like USA Today give it a more chilling headline: “U.S. : Third of tests on motorists killed shows drug use“. The discrepancy results from the AP considering all drivers who were killed when not every driver killed was drug tested. The USA Today considers the “tests on motorists killed”, thereby discounting the 37% of killed drivers who were never drug tested. Whatever – 20% of all drivers or 33% of all drivers tested – they’re dead, they drove, there’s drugs, be afraid! Researchers with the National Highway Traffic Safety Administration said the new data underscored a growing problem of people driving with drugs in their systems. But they cautioned that it was not clear that drugs caused the crashes and more research was needed to determine how certain drugs can hinder a person’s ability to drive safely. One-third of all the drug tests done on drivers killed in motor vehicle accidents came back positive for drugs ranging from hallucinogens to prescription pain killers last year — a 5 percentage point increase since 2005, the National Highway Transportation Safety Administration reported Tuesday. Nobody recommends driving while impaired by drugs – legal or illegal. NORML has maintained this as a core Principle of Responsible Use for years. But there are many legal prescription drugs that will cause impairment that bear the warning “Until you know how you may be affected by this drug, do not drive or operate heavy machinery,” which suggests to me that once you do know how it affects you, it’s your judgment call. In fact, one of those drugs is prescription dronabinol, the synthetic cannabinoid THC marketed as “Marinol”. The tests took into account both legal and illegal drugs, including heroin, methadone, morphine, cocaine, methamphetamine, marijuana, LSD, prescription drugs and inhalants. The amount of time the drug could linger in the body varied by drug type, the researchers said, so it was unclear when the drivers had used the drugs prior to the fatal crashes. Cannabis metabolites can be detectable in urine for weeks and THC itself can be detected blood for at least six hours. Most illegal drugs can be detected for a few days in urine and a few hours in blood. Prescription drugs are just as varied. So we’ve got 20% or 33% of killed drivers who had a drug in their system that may or may not have contributed to the crash that killed them and they may or may not have taken that drug before driving. Gil Kerlikowske, director of the Office of National Drug Control Policy, called the numbers of fatalities involving drugs “alarmingly high,” and called for more states to pass laws making it a crime to have illegal drugs in the body while driving, no matter how much. Seventeen states already have such laws. The lack of research also presents a problem for lawmakers to develop laws. They can outlaw the use of all illegal drugs while driving, but what about someone who took a prescription sleeping pill a few hours ago? Since they can outlaw the illegal drugs and there is no political cost in doing so, they will. These “zero tolerance” laws means if they detect any metabolite of any illegal drug, you are guilty of driving impaired. Since that joint you smoked could be detectable long after its effects had worn off, you’d be an impaired driver in the eyes of the law even if you were completely sober and unimpaired. Since marijuana is detectable for much longer periods than most any other drug, legal or illegal, “zero tolerance” laws amount to witch hunts for cannabis consumers behind the wheel. As for the prescription drugs, there isn’t much political benefit in threatening a majority of your constituents, especially the older ones who do most of the voting, with a DUI charge for the pills the doctor required them to take every day. Also consider the lobbying money and clout of Big Pharma that won’t look kindly on strict new driving laws that might cause people to use less pills. Arizona (except for medical marijuana patients), Utah, South Dakota, Illinois, Indiana, Delaware, and Georgia already have these zero tolerance laws for any THC or metabolites of THC – if you toked within the past week, you could already be an impaired driver. Iowa, Michigan, Wisconsin, and Rhode Island have zero tolerance for THC in the blood – if you toked before bed you might be an impaired driver in the morning. Nevada and Ohio consider you impaired if they detect 2 nanograms (2 billionths of a gram) of THC per milliliter of blood (2ng/ml) and Pennsylvania raises that limit to 5ng/ml. Virginia, Minnesota, and North Carolina have zero tolerance laws for drugs that do not include cannabis or its metabolites. Learn what the DUID laws are in your state. The Good: I’m confirmed to appear this evening live on CNN to discuss the political aftermath and strategies for future Cannabis Prohibition law reforms around the 7:30 PM hour (eastern). The Bad: Drug Czar Gil Kerlikowske will appear live around 5:30 PM (eastern) to discuss cannabis legalization efforts post the close defeat of Prop 19 this week in California. Update: Watch NORML on CNN here. Regrettably, because of longstanding protocol at the Office of National Drug Control Policy (ONDCP), the so-called drug czar will not appear live and/or debate with a representative from NORML. Instead, viewers and taxpayers are deprived of the opportunity for a civil discussion from two opposing viewpoints over a long-simmering public policy debate that’s been underway for over 40 years in America. Instead, the drug czar’s media protocol dictates that he/she generally appear first in public discussions on TV or on the radio (live debates in front of an audience are verboten! ), and then the advocate addresses their remarks in a later live or taped interview. That’s what will happen on CNN tonight on what will be a painfully short, 5-7 minute live interview with Don Lemon. See you on the Groove Tube! Again, next time you hear or read about law enforcement or federal anti-drug agencies employing the claim ‘We don’t make the laws, we only enforce them’, please reference the below totally biased, paranoid, inaccurate and self-serving example from the Drug Enforcement Administration to counter such claims. Unlike the Office of National Drug Control Policy (ONDCP), it is not clear that Drug Enforcement Administration is mandated by Congress to oppose any efforts by citizens to peaceably and lawfully change cannabis laws. While each and every one of the DEA’s supposed top ten ‘facts’ about legalization are easily rebutted, I think my favorite ‘fact’ presented by our tax dollars at DEA is #6, where the DEA purposely misleads the general public by claiming that Alaska ‘legalized’ cannabis in the 1970s, and upset voters in 1990 effectively saved the state from the dreaded ‘Devil’s Weed’. What really happened in Alaska regarding cannabis policy? The Alaska Supreme Court, relying on the most citizen-supportive state constitution in the United States, ruled in the Ravin case in 1975 that the state constitution afforded its citizens strong privacy rights, including the ability to possess one ounce of without fear of arrest. In other words, just like numerous other states (thirteen!) Alaska DECRIMINALIZED the possession of cannabis, it never legalized the substance in the standard sense of the word where adults could cultivate and sell it. Since the tragic and expensive folly of cannabis prohibition began in 1937 by a legislative fiat in the Congress and signed into law by President Franklin Roosevelt (who was a keen supporter of ending alcohol prohibition, signed the Volstead Act and celebrated the end of alcohol prohibition at the White House with some of the first legal booze), not a lawful constitutional amendment such as was needed to both prohibit and re-legalize alcohol sales. Unfortunately, no state has EVER legalized cannabis cultivation or sales for non-medicinal purposes. None! The DEA is wrong to insinuate otherwise. What happened in 1990 to Alaska’s cannabis decriminalization laws? Did mobs of angry voters, fed up with excessive cannabis use (or even above national average cannabis consumption rates) driven by an otherwise, for the average person, largely obscure 1975 court decision be compelled to place a voter initiative on the ballot to, according to our not so dutiful civil employees at the DEA, de-legalize cannabis in the state? About the only item correct in the DEA’s #6 ‘fact’ about legalization is that the voters narrowly voted to end the state’s decriminalized laws for possessing one ounce. 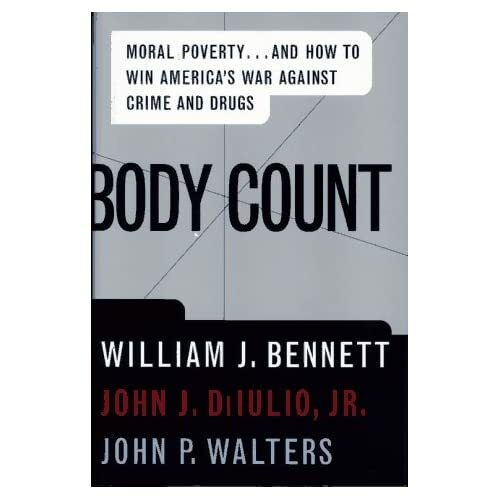 That, by the way, was largely a function of not the grassroots efforts of Alaskans, but of our first official ‘drug czar’ William Bennett (and his ‘Mini-Me’ and future Propagandist-in-Chief against cannabis as the longest serving drug czar, John Walters). Bill Bennett, freshly minted as drug czar chose as one of the office’s first missions, consistent with its Joe Biden-written and Congressionally-approved charter to oppose cannabis law reforms as a matter of policy and function (science, morality, and economics be damned! ), they chose to target what they perceived the lowest hanging fruit possible to capture: Go to the state with the most tolerant cannabis laws—Alaska was chosen—using numerous federal apparatus and tax dollars, whip up fear and emotional contagion in the population broadcasting rank anti-cannabis propaganda—notably with law enforcement, women, parents, church groups, oil companies and the US military/National Guard—and knock the supposedly ‘liberal’ cannabis law off the law books in hopes of starting a legislative and/or voter initiative backlash against cannabis in then 11 states that had already decriminalized the possession of (usually) one ounce. The peak of the Bennett-driven effort to change cannabis laws in Alaska as I recall was a frenetic, mainly one-sided show featuring Bill Bennett at peak bluster debating a counter-culture writer on the then very popular daytime Phil Donahue Show (notably known for its high ratings among women viewers). What actually has turned out in Alaska since 1990 that the DEA didn’t want the public to know in its so-called ‘fact’ sheet and misleads by omission in trying to portray Alaska as a state whose citizens ‘de-legalized’ cannabis and don’t favor its reform? 1) Post the vote in 1990, NORML supporters in Alaska who favor cannabis law reform, along with ACLU, successfully sued to have the voter initiative overturned as it violated the state’s constitution. The Alaska Supreme court ruled Ravin was still the law of the land because the personal privacy protected under the state’s constitution could not be voted away in an initiative. The justices ruled that if the minor possession of cannabis were to be made illegal consistent with the state constitution (and their previous rulings), then Alaskan’s elected policymakers and citizens need to amend the state constitution. In later court challenges in Alaska to enhance penalties, pushed by the Governor, the state courts not only ruled against the government, they increased the amount of cannabis a citizen could possess up to a quarter pound (four ounces)! Regrettably, the most recent court decision in Alaska has reduced the amount from a ‘QP’ back to an ‘OZ’. Ooops! Sorry Billy and Johnny (and the DEA), Alaska’s liberty-loving state constitution trumped your efforts. You lost, but oddly still cite Alaska to this day as some kind of warped ‘victory’. If it was a victory, even in the strictest sense of the word, it is the definition of a Pyrrhic victory. 2) The citizens of Alaska voted for medical access to cannabis in 1998, 58% – 42%. The law has had little to no negative consequences in the state from a public health or safety point of view. Medical cannabis, like in most states that adopt it, is ‘no big’ deal despite the DEA’s efforts to convince lawmakers, media and the public. 3) In 2004, a ballot initiative to actually legalize cannabis in Alaska largely funded by the Marijuana Policy Project lost 55% – 44%. See Alaska’s current laws here. This fall, with the voters of California having the opportunity in a binding voter initiative to actually become the first state to legalize cannabis (Field Poll surveys in the state indicate 56% support legalization), let’s show the anti-cannabis bureaucrats at the DEA and ONDCP (just to name two of over two dozen taxpayer-wasting federal government bureaucracies that largely oppose cannabis law reforms) a thing or two about what their employers—we the taxpayers and voters—want regarding a functional cannabis policy where the herb is legally controlled and taxed for responsible adult enjoyment and relaxation just like caffeine, alcohol and tobacco products. To send a clear message to the DEA, please support Tax Cannabis 2010 in California! Fact 1: We have made significant progress in fighting drug use and drug trafficking in America. Now is not the time to abandon our efforts. The Legalization Lobby claims that the fight against drugs cannot be won. However, overall drug use is down by more than a third in the last twenty years, while cocaine use has dropped by an astounding 70 percent. Ninety-five percent of Americans do not use drugs. This is success by any standards. Fact 2: A balanced approach of prevention, enforcement, and treatment is the key in the fight against drugs. A successful drug policy must apply a balanced approach of prevention, enforcement and treatment. All three aspects are crucial. For those who end up hooked on drugs, there are innovative programs, like Drug Treatment Courts, that offer non-violent users the option of seeking treatment. Drug Treatment Courts provide court supervision, unlike voluntary treatment centers. Fact 3: Illegal drugs are illegal because they are harmful. There is a growing misconception that some illegal drugs can be taken safely. For example, savvy drug dealers have learned how to market drugs like Ecstasy to youth. Some in the Legalization Lobby even claim such drugs have medical value, despite the lack of conclusive scientific evidence. Fact 4: Smoked marijuana is not scientifically approved medicine. Marinol, the legal version of medical marijuana, is approved by science. According to the Institute of Medicine, there is no future in smoked marijuana as medicine. However, the prescription drug Marinol-a legal and safe version of medical marijuana which isolates the active ingredient of THC-has been studied and approved by the Food & Drug Administration as safe medicine. The difference is that you have to get a prescription for Marinol from a licensed physician. You can’t buy it on a street corner, and you don’t smoke it. Fact 5: Drug control spending is a minor portion of the U.S. budget. Compared to the social costs of drug abuse and addiction, government spending on drug control is minimal. The Legalization Lobby claims that the United States has wasted billions of dollars in its anti-drug efforts. But for those kids saved from drug addiction, this is hardly wasted dollars. Moreover, our fight against drug abuse and addiction is an ongoing struggle that should be treated like any other social problem. Would we give up on education or poverty simply because we haven’t eliminated all problems? Compared to the social costs of drug abuse and addiction-whether in taxpayer dollars or in pain and suffering-government spending on drug control is minimal. Fact 6: Legalization of drugs will lead to increased use and increased levels of addiction. Legalization has been tried before, and failed miserably. Legalization has been tried before-and failed miserably. Alaska’s experiment with Legalization in the 1970s led to the state’s teens using marijuana at more than twice the rate of other youths nationally. This led Alaska’s residents to vote to re-criminalize marijuana in 1990. Fact 7: Crime, violence, and drug use go hand-in-hand. Crime, violence and drug use go hand in hand. Six times as many homicides are committed by people under the influence of drugs, as by those who are looking for money to buy drugs. Most drug crimes aren’t committed by people trying to pay for drugs; they’re committed by people on drugs. Fact 8: Alcohol has caused significant health, social, and crime problems in this country, and legalized drugs would only make the situation worse. The Legalization Lobby claims drugs are no more dangerous than alcohol. But drunk driving is one of the primary killers of Americans. Do we want our bus drivers, nurses, and airline pilots to be able to take drugs one evening, and operate freely at work the next day? Do we want to add to the destruction by making drugged driving another primary killer? Fact 9: Europe’s more liberal drug policies are not the right model for America. The Legalization Lobby claims that the “European Model” of the drug problem is successful. However, since legalization of marijuana in Holland, heroin addiction levels have tripled. And Needle Park seems like a poor model for America. Fact 10: Most non-violent drug users get treatment, not jail time. The Legalization Lobby claims that America’s prisons are filling up with users. Truth is, only about 5 percent of inmates in federal prison are there because of simple possession. Most drug criminals are in jail-even on possession charges-because they have plea-bargained down from major trafficking offenses or more violent drug crimes. Apparently Walters looks to Obama to be as dishonest as he was in misleading and lying to the public and Congress about cannabis. Walters’ absurd and unscientific claims that cannabis ‘makes people sick’ and that cannabis ‘causes the greatest dependency and addiction by far’ in a country that sells and taxes alcohol, tobacco and pharmaceuticals demonstrates how out-of-touch this man really is and how manipulative Walters tries to be with the distracted ignorance of the general public (and elected policy makers).